The AIT Embedded Data Loader and Target software development kits (SDK) provide support for ARINC 615A operations in software libraries which can be embedded into avionics systems and are supported on multiple operating system platforms. The SDKs include executable libraries with well defined and documented application programmer's interfaces (API ). Sample applications (source code) are also included with the SDKs. Source code sample applications and complete user's reference documentation provided. 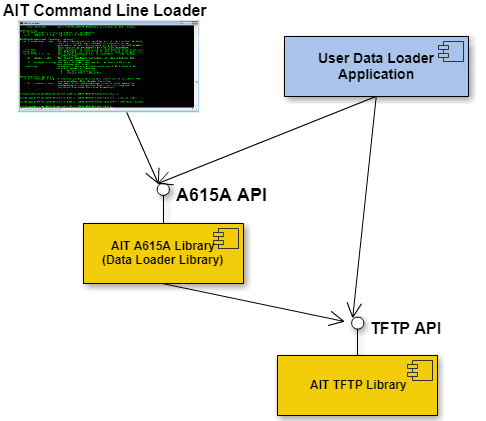 The AIT A615A‐LDR‐SDK is an ARINC 615A data loader suite of software which can be integrated into user applications to provide support for ARINC 615A‐1, 615A‐2, and 615A‐3 load operations. The A615A‐LDR SDK provides C/C++ application programmer interfaces (API) for both trivial file transfer protocol (TFTP) and ARINC 615A. 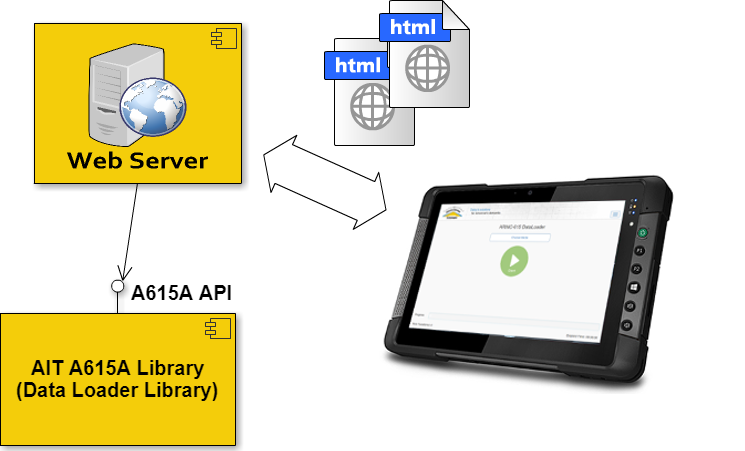 The A615A‐SDK API's are provided with full user documentation and sample (source) applications. browser to execute load operations (FIND/SNIP, UPLOAD, DOWNLOAD, & INFORMATION). With the embedded web server, the AIT A615A‐LDR‐SDK provides a complete software data loader solution that can be easily integrated into a variety of existing onboard systems to provide a cost effective on‐board data loader solution. use the standard sockets interfaces provided by the host operating system for communications with the Data Loader. 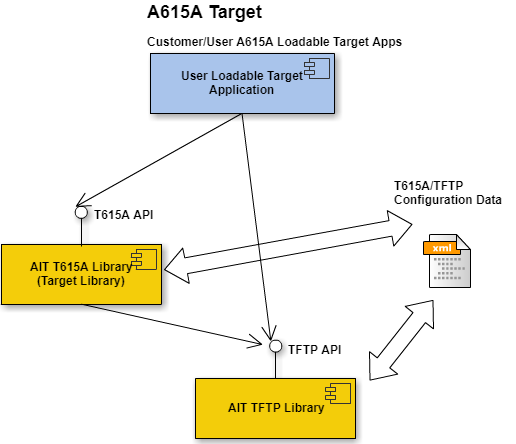 The 615A Target and TFTP APIs of the target development kit are highly configurable without the need to change code or recompile. Timeouts, block sizes, and file storage locations can be specified in configuration files loaded to the libraries at run time offering a highly flexible and re‐configurable solution. An easy to use (GUI) application is provided to allow easy and intuitive specification of the configuration options. Want more information about our Embedded 615A Solutions?